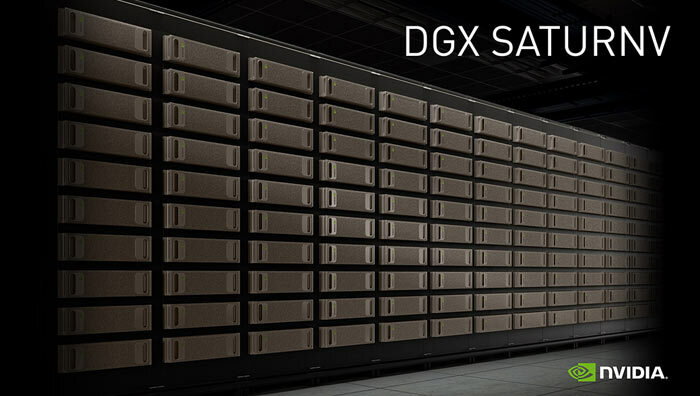 Nvidia is pleased to announce that its new DGX SATURNV supercomputer is ranked 28th fastest in the world overall - according to the Top500 list of supercomputers released on Monday. This machine is made up of 124 DGX-1 'Deep Learning Supercomputers', assembled to work in concert by dozens of Nvidia engineers. Being ranked 28th in the world for processing speed isn't bad but Nvidia does do better when measured by another metric: the SATURNV is said to be the most efficient supercomputer in the world. With its bevy of Tesla P100 GPUs the SATURNV is capable of delivering 9.46 gigaflops/watt. That figure is a 42 per cent improvement from the 6.67 gigaflops/watt delivered by the most efficient machine on the Top500 list released just last June. Looking sideways, at a similar performing supercomputer with 'Intel inside', the Nvidia SATURNV is 2.3x more energy efficient. Nvidia assembled the SATURNV to use its AI power to gain a competitive advantage. Since its construction the machine has been tasked with designing the autonomous driving software behind the DRIVE PX 2 self-driving vehicle platform. The SATURNV is capable of designing and training new deep learning networks quickly, says Nvidia. In a further interesting application Nvidia says that the SATURNV's neural networks are currently being trained "to understand chipset design and very-large-scale-integration". 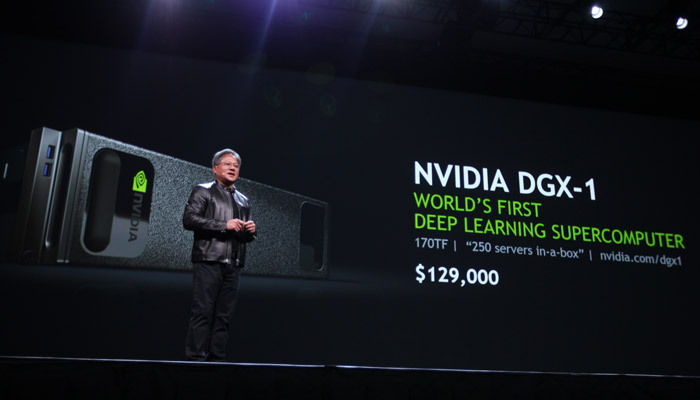 Once this training has reached a certain stage Nvidia confirms that yes, it will be using "GPUs to help us design GPUs". Since computer AIs have only just mastered games such as chess and go, yet are still a long way from being able to challenge us at StarCraft, could Nvidia's GPUs designing GPUs really help it outpace the likes of AMD?